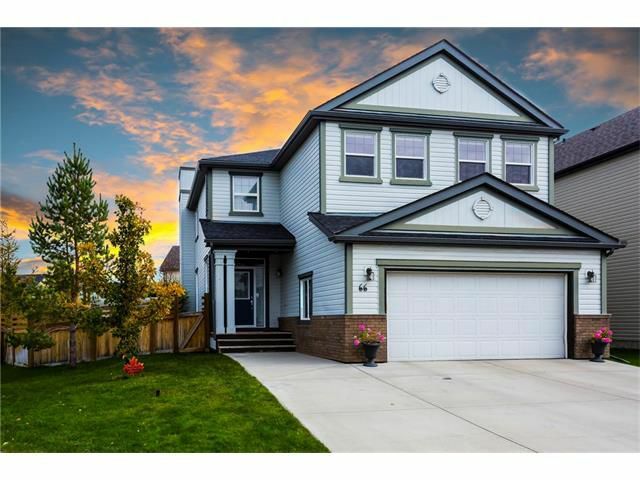 Stunning & well maintained home, offers over 3500 sqft of developed living space. The main floor has an open concept layout that features 9 ft ceilings, hardwood flooring, private office, laundry room, spacious living room with a centered concrete fireplace, & dining room with access to the back patio’s. The kitchen is complete with a massive granite island, gas stove, garburator, eating bar, & loads of cabinet space. Upstairs you will find a spacious bonus room, 3 generously sized bedrooms, 4 pc bath, & an office/loft area. The master retreat features a walk-in closet & a 5 pc en suite including a soaker tub, separate shower, & dual vanities. The professionally finished basement features a large family room with a 2nd fireplace, 2 additional bedrooms, 4 pc bath, cold room, & plenty of storage. Entertaining is made easy on this gorgeous 9000 sqft. inside corner lot that features 2 concrete patios, a park like yard with over 45 trees, storage shed, underground sprinklers, & garden area. Conveniently located next to parks, walking paths, the community center, schools, & transit.